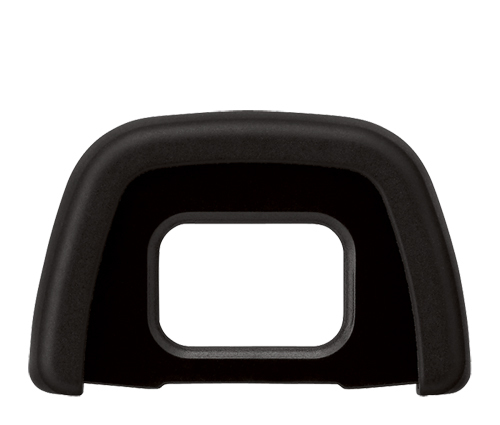 The Nikon DK-23 Rubber Eyecup improves viewing comfort and prevents stray light from entering the viewfinder and diminishing contrastCONTRASTThe difference between areas of different brightness levels in a photograph: A high-contrast image has a greater difference between light and dark areas, whereas a low-contrast image has a narrow range of tones. Contrast is used to direct a viewer’s attention to a photographer’s subject either with colour contrast (bold versus duller colours) or tonal contrast (bright versus darker tones). .
Nikon D300, D300s, D5000, D7100, and D7200 SLR Digital Cameras.